Fencing Repairs Perth – Who You Gonna Call? How Much Does Colorbond Fencing Cost? Which Storm Damage Fence Works Best and Why? 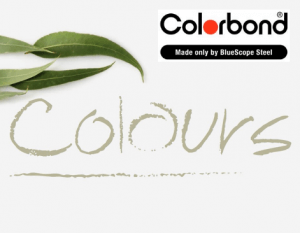 Colorbond Introduces New Colorbond Fencing Colours! New Colorbond fencing colours are available! In recent months, Colorbond has revised their colour range for the first time in over 15 years, so if you’ve been considering installing a Colorbond fence on your property, you now have more options. With Colorbond’s new colour additions, it is now easier than ever to coordinate the appearance of your fencing with the colours of your property for a picture-perfect space. In fact, every option in the new range has been inspired by the colours of the Australian backyard. For instance, Surfmist expresses qualities such as purity, independence and freshness, reminding of snow, pure white sands and billowing yacht sails. Or, of course, surf and sea mist. Monument, on the other hand, is characterised by a texture that is confident, bold and neutral, which is great for adding depth and drawing out the visual appeal of lighter tones and materials. This city-inspired colour works well in homes with modern architecture and furnishings. The rest of the Colorbond fencing colours remain the same. The new colours have been brought in to reflect the current style trend in the market of incorporating light creams and greys, while older colours such as Manor Red are no longer fashionable. This may cause some issues with fences with old colours that are now discontinued. However, for customers who need additional fencing, the colours will still be available for another 6-12 months. Colorbond fencing is only available in 14 colours at the moment and should not be confused with the roofing colour palette that offers 20+ colours. Nevertheless, there is an inspiring shade available to suit every property, landscape and décor style, and it is easy and fun to achieve the look that you desire. Whether you’re after a colour that is bold or subtle, dark or light, warm or cool, you won’t struggle to find one that enables you to blend your garden’s natural charm with that of your home. Need some creative guidance? We will gladly assist. Team Work Fencing Contractors can advise you on the best scheme for your property in Perth or Bunbury, with nonstandard colours available upon request. Depending on preference, clients can opt for the gate or fence design and then personalise with slats, lattice or post caps. Because fencing is always installed correctly, there are never any loose pailings, vertical gaps or visible footholds. Property owners concerned about durability will be glad to hear that Colorbond steel fencing does not rot and is highly resistant to fire, pests and corrosion. Once installed, it is also easy to maintain in that you don’t have to constantly oil, paint or replace pailings. Bottom line, TWF Colorbond fences are worth investing in, and with a variety of colorbond fencing colours and styles to choose from, you can be sure that your fence and property will look amazing once installed. At Team Work Fencing, our contractors are experts at installing Colorbond in Western Australia. Call Us for more information on how we can improve the security, privacy and looks of your property! Copyright © 2019 Team Work Fencing Contractors | All Rights Reserved.